On this day in 1884, Amedeo Modigliani was born in Livorno, Italy in a Jewish family. Modigliani was the youngest of four child born to Flaminio Modigliani and his wife, Eugenia Garsin. His father was in the money-changing business before going bankrupt. Amedeo Modigliani’s timely arrival saved his family from total financial ruin, as according to an ancient law that protected the beds of pregnant women and new mothers. Hence, the family protected their most valuable belongings by pilling them up on top of Eugenia’s bed. As a child, Amedeo Modigliani suffered from pleurisy and typhus, preventing him from receiving a conventional education. 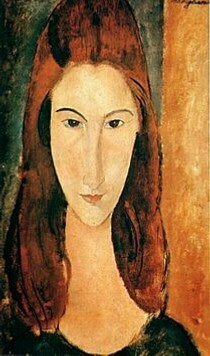 He later contracted tuberculosis, a disease that will eventually led Modigliani to his early death. His interest in painting started at the early age of 14 in 1898. He subsequently moved briefly to Florence in 1902 then went to Venice where he continued his artistic studies until 1906. At the time, he had a particular interest for Italian Renaissance painting, as he was studying academic painting and life drawing. After Venice, Modigliani left for Paris where he discovered the work of Renoir, Degas, and Gauguin but also Cézanne, who he considered his work admirable. Modi as he was called in Paris quickly adopted the bohemian lifestyle, by frequenting the artists in Montmartre. He befriended the poets André Salmon and Max Jacob and also met Picasso. 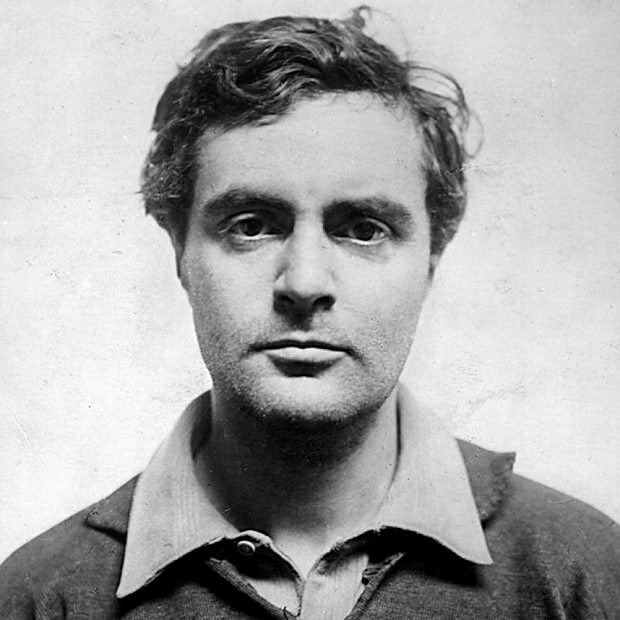 For a great part of his life, Modigliani was mostly known for his personality and self-destructive lifestyle rather than his talent as a painter. Indeed, he led a life of debauchery, with substance and alcohol abuse. In 1909, his meeting with sculptor Constantin Brancusi, on whose advice he started studying African sculpture. Brancusi’s work influenced greatly Modigliani’s creative development, as he also made some sculptures of his own. The characteristics of these sculptures – long neck and nose, simplified features and long oval face- became later on, typical of his painting. In 1917, Modigliani began a love affair with Jeanne Hébuterne, with who he went to live on the Côte d’Azur. Their daughter Jeanne was born in 1918 and he led a more peaceful lifestyle in the south of France. However, it did not help his weakening health and by January 1920, Modigliani became ill and died ten days later. His lover, Jeanne Hébuterne, who was pregnant with their second child at the time claimed her life the day after.